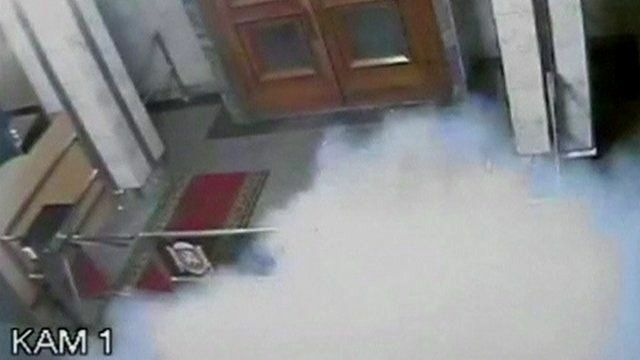 CCTV shows Crimea parliament explosion Jump to media player CCTV footage has emerged of the moment armed men seized the Crimea parliament building in Simferopol, Ukraine. 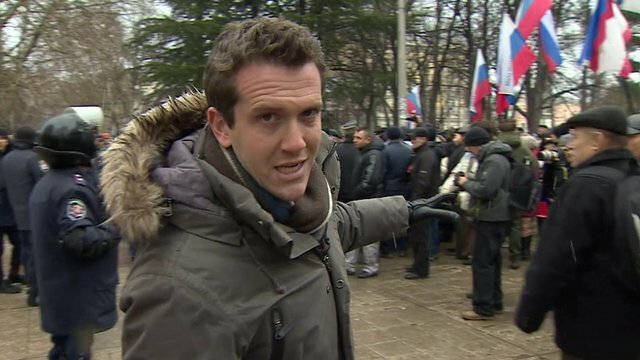 Armed stand-off at Crimea parliament Jump to media player Pro-Russian demonstrators gather outside two government buildings in seized by armed men in Simferopol, the capital of the Russian-majority region of Crimea, in Ukraine. 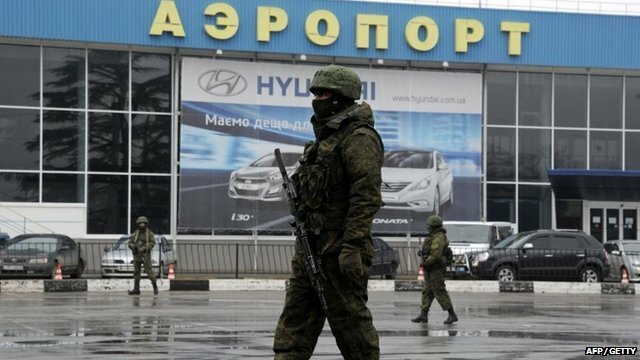 Mystery armed men at Crimea airports Jump to media player Unidentified armed men took are controlling Ukraine's Sevastopol and Simferopol airports, the same day ousted President Viktor Yanukovych made his first public appearance since leaving the country. 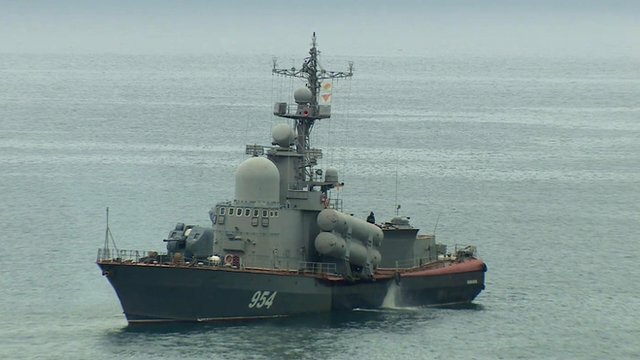 Russian navy vessel off Balaklava Jump to media player The BBC's Christian Fraser says the sighting of a Russian navy vessel at the entrance to the Port of Balaklava in Crimea is significant in the context of the current situation. 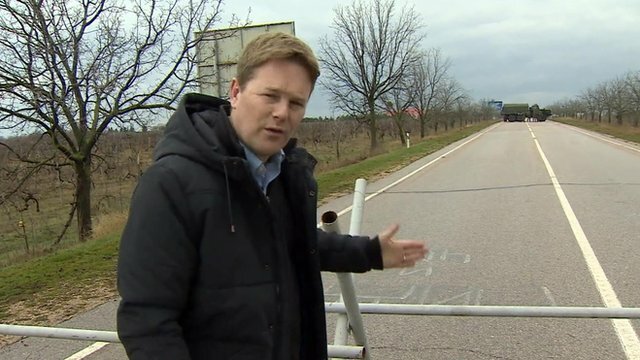 Heavily armed units block Crimea airport Jump to media player The BBC's Christian Fraser finds roadblocks preventing access to Sevastopol airport as armed men patrol air hubs in the autonomous region of Crimea. 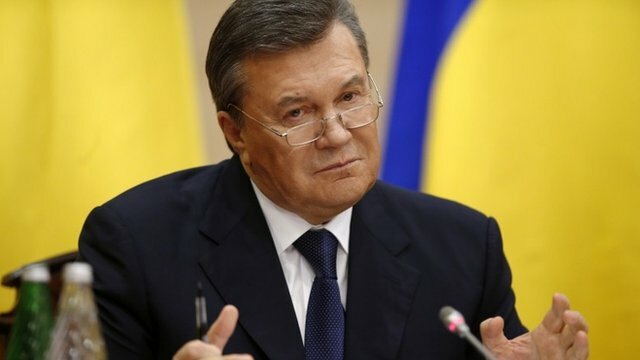 Yanukovych: 'I was shot at in Kiev' Jump to media player The ousted Ukrainian president Viktor Yanukovych says his convoy was shot at in Kiev which led to him eventually fleeing to Russia. 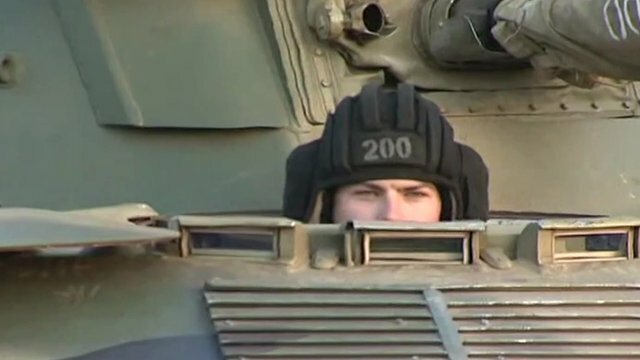 Russia drills 150,000 troops near border Jump to media player Russia conducts a series of what it calls "military preparedness drills" near the country's border with Ukraine. 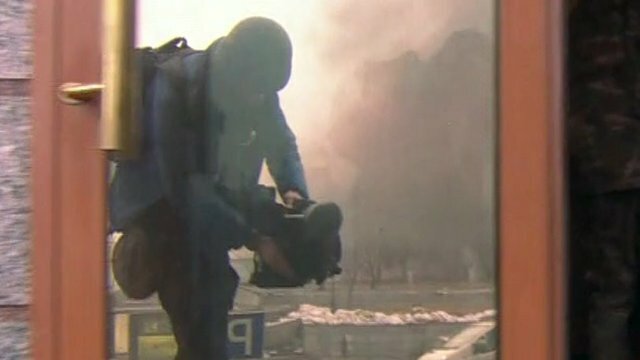 BBC releases unseen video of Kiev clashes Jump to media player BBC reporter Gabriel Gatehouse and his team release previously unseen footage of protesters, casualties and fire during the uprising in Kiev. CCTV footage has emerged of the moment armed men seized the Crimea parliament building in Simferopol, Ukraine. The images show the group - wearing unmarked military uniforms - outside the building, before entering amid an explosion in the early hours of Thursday. On Friday, Ukraine's acting president accused Russia of deploying troops there to provoke an "armed conflict", which Moscow denies.